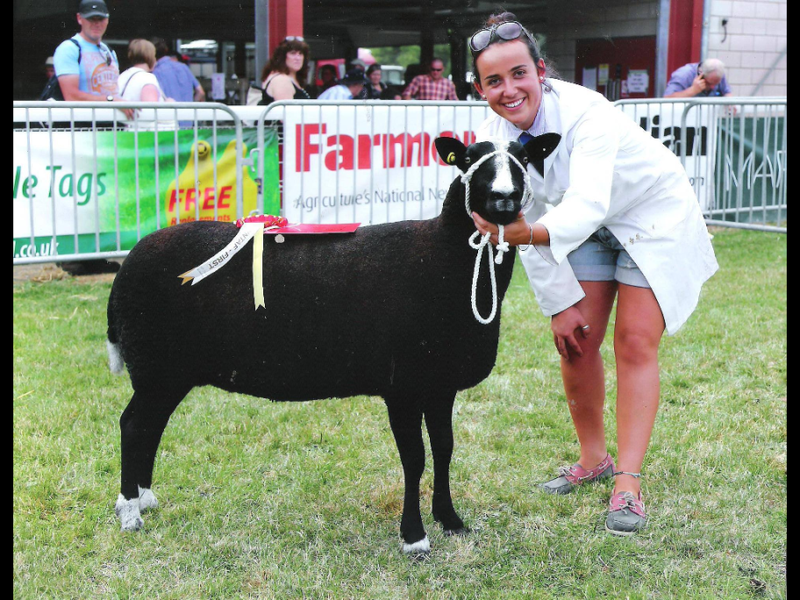 Junior members have your say tell us you what you are up to, this can include a flock or person profile, your experiences keeping or showing Zwartbles or anything Zed related. In march 2016, Fiona Brown, Harry Preston and I took part in The National Young Stars competition. 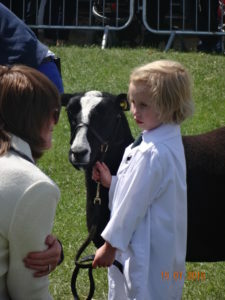 This competition is held in Malvern, at the Three Counties Show Ground. 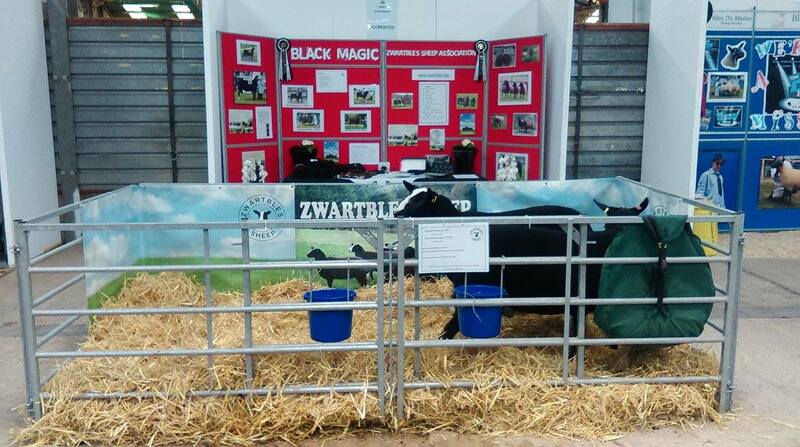 We took part in this competition to promote the Zwartbles breed, as we are very passionate about this breed. Previous to the competition we held a team meeting to put our ideas together. This was a successful meeting as we were able to agree on the appearance of the stand, and other aspects of the competition. 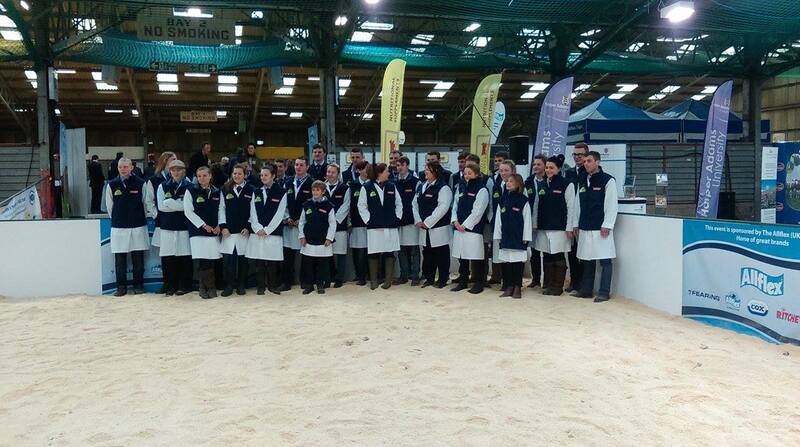 During the first day we set up our stand and took part in a stock judging competition. Looking at the other stands, we could see that the competition was tough. Later that day, we all took part in a team stock judging of six Beltex cross hoggs. Fiona Brown, gave detailed reasons regarding our placings of the sheep. This gave us experience for judging in the future. After seeing the results, we were pleased to see that we had done well in the stock judging section and were awarded high points for this. On the second day, we started preparing two gimmers provided by Martin Preston, for the show ring. This was a great experience as we could see how other competitors dress and wash their sheep. Every breed of sheep is prepared in a different way. 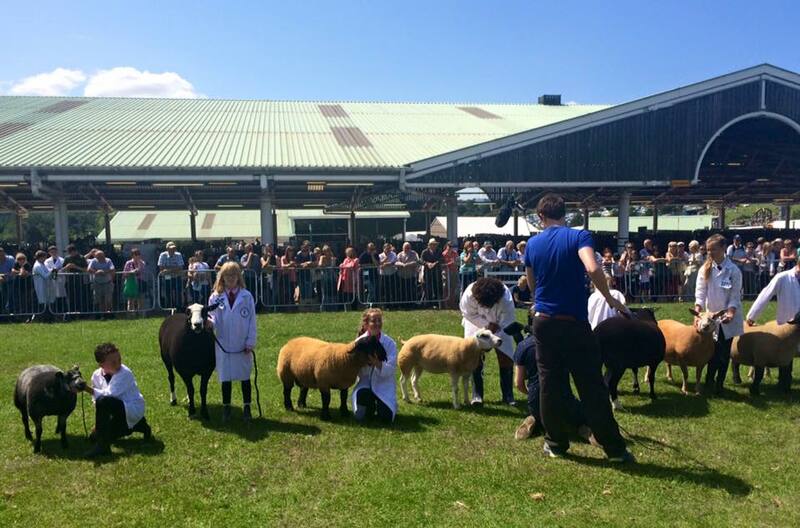 Later that day we entered the show ring with the gimmers. Harry Preston gave a well presented speech about the Zwartbles breed. 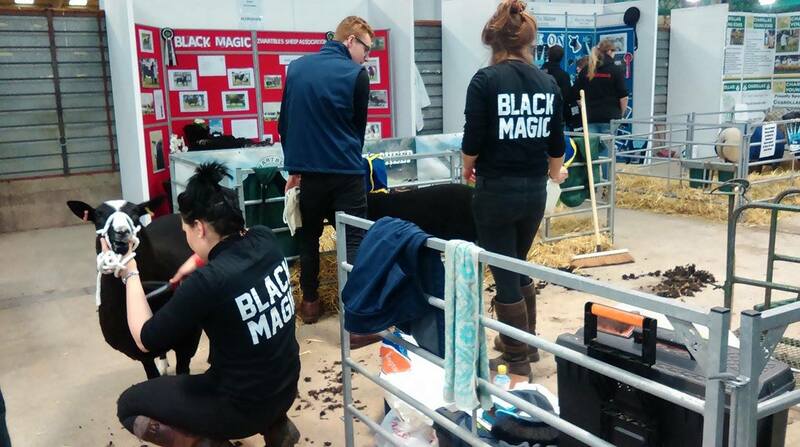 Once all sections were complete, the results were announced that our team, Black Magic were fifth. We would like to thank the Zwartbles Society for sponsoring our team. We would also like to thank Raymond Heigh for leading our team and Martin Preston for providing the sheep. Thanks also to Suzanna Crampton for supplying the Zwartbles wool products and Judy Maxwell for delivering them. Zwartbles Young Handlers take on Blue Peter at the Great Yorkshire Show. The Zwartbles breed was well represented when our junior members turned out for the Young Handlers Classes at this year’s Great Yorkshire Show. In the Under 7 Great Yorkshire show young handlers Grace Elliott age 4 showed a Zwartbles ewe lamb and came highly commended. In the Age 8- 12 Great Yorkshire show young handlers Charlotte Elliott age 10 won 1st prize with a great big cheer from the crowd with a Zwartbles ewe lamb and Alice Horwood with her aged ram came 6th. In the same ring was Blue Peter presenters Barney Harwood and Radzi Chinyanganya filming for a future episode of the programme, Radzi was having a go at sheep handling for the first time. Hopefully our ladies will catch a glimpse of themselves on a future Blue Peter programme. 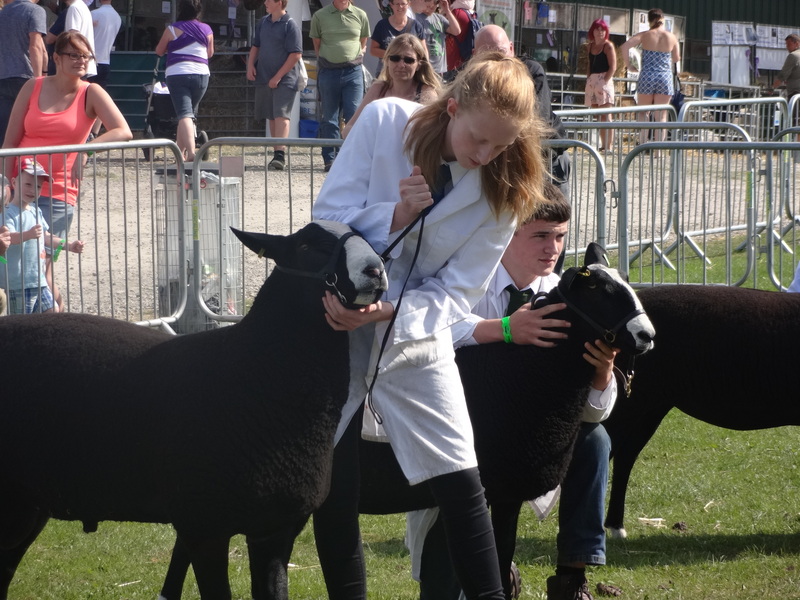 Plenty of Zwartbles also came forward in the 12-18 section with Tom Blamire, Sophie Preston and Jack Addison flying the flag for the breed. 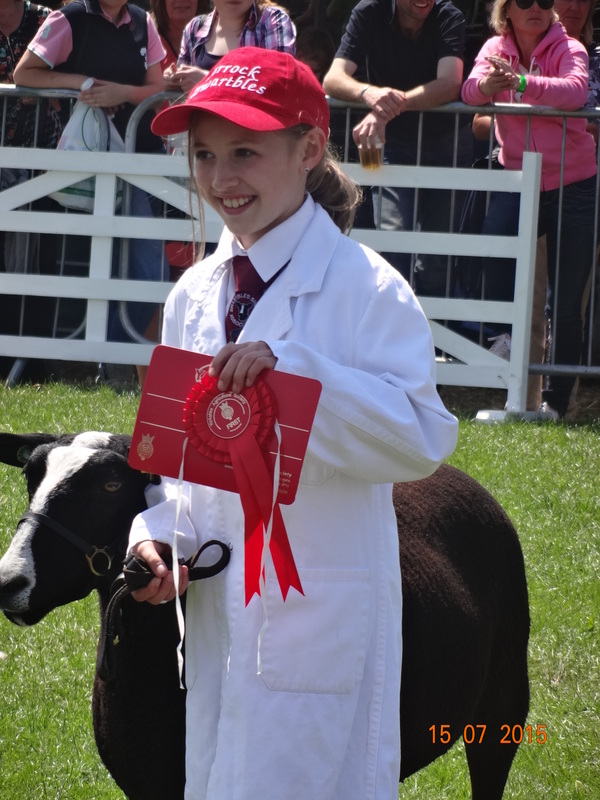 Well done to all for doing a fantastic job not only to the Young Handlers at the Great Yorkshire but a big thank you from the Zwartbles Sheep Association for all our Young Handlers out at shows representing the breed in such an excellent way. 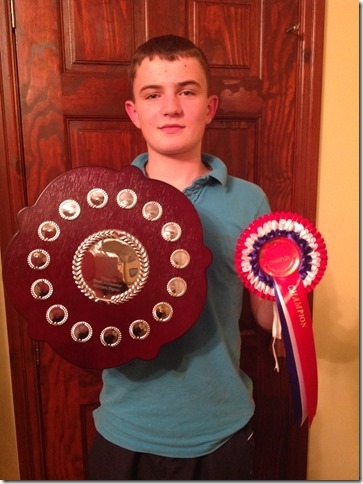 The Champion of the Northern Region Young Ambassador Competition 2014 was awarded to Tom Blamire from the Whinnow flock in Carlisle. 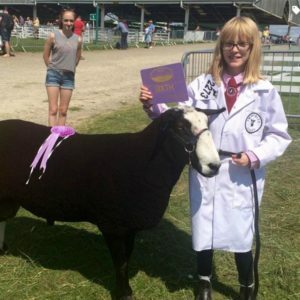 From Northumberland Show in Bywell to Penrith Show in Cumbria Tom has travelled to shows across the Northern Counties securing excellent wins in both breed classes and Young Handlers. 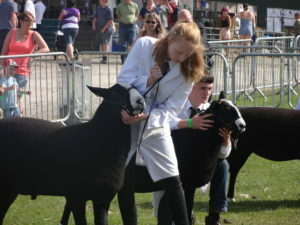 Not only did he show outstanding commitment to producing his show team, anyone having a conversation with Tom will be in no doubt that he is very knowledgeable about Zwartbles. Reserve went to Harry Preston and his Bingheleia Flock based in Bingley Yorkshire, showing sheep at local and county level shows across Yorkshire Harry has done consistently well with his show team, particularly with the ewe lamb. The future of the breed is in our young members and the Northern Region are fortunate to have so many knowledgeable and competent members to promote the breed. The Northern Branch intend to continue and support this competition next year and welcome entries from all our Northern region junior members. I am Poppy Godwin and I am 18 years old. I have had my own flock of pedigree Zwartbles Sheep since the age of 10, as this was all I wanted for my birthday, and luckily I got some. I started with two ewes with lambs at foot. Over the eight years I have had the sheep, I have been breeding my flock up allowing me to sell them privately and at sales, show them all over the UK and sell boxes of meat as well as sheep rugs- what fun it has been- and I have learnt so much from doing this. It has allowed me to strengthen by business knowledge and understanding, this has then allowed me to handle large quantities of money, run my own business account and keep monthly books. The other skill I have learnt and loved every minute of learning has been going down to the Butchers shop, to learn the skill of butchering my own lamb. This has been really useful as it has helped me understand what I am selling to my customers. Many of you reading this may think how can you watch them as baby lambs and then eat them at a later stage, - well, it’s easy because I know what I am eating and know they haven’t had all the nasty’s put inside them, and it also tastes amazing! The showing of my sheep has allowed me to have summer months camping, with mum, in our horsebox, (sounds far grander than it is!). The Three Counties, The Royal Cornwall, Great Yorkshire, The Royal Welsh, Moreton in Marsh, Burwarton and The Royal Show have all been shows that we have been to and thoroughly enjoyed every single one of them, having a great party whilst we are there but also learning lots in and out of the show ring – everyone is really helpful! Throughout my time of having these sheep it has significantly helped my organisation, responsibility as well as my social life! I have got to know other similar aged young members within the Association, many of whom have become good friends and who I keep in touch with all year round not just when we see each other around the country. As well as this I have also met young members from other breeds through shows and sales. I look forward to doing more with my flock of sheep in the future; however, I am currently undertaking a degree course but plan to do more when I have completed that.